The Blossoming Abundance Gardenia Plant ushers in beauty and sweet fragrance with its graceful white blooms. 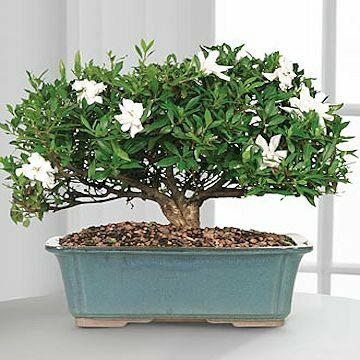 This exceptional bonsai displays its lush foliage and snowy white flowers from a blue ceramic planter to create a gift that expresses joy and unending happiness. Arrives ready to assemble with plant, tray and rocks. Container color may vary.